Low Testosterone and Belly Fat: What’s the Correlation? You don’t know what is going on with your body. You have always been in great shape. You are fit, you make a point of being active every day, and you watch what you put in your body. It’s worked for you all of your life until you reached middle-age. Ever since that time, you are starting to experience some changes. One of the biggest problems is there is belly fat building up around your midsection. You haven’t changed anything that you have been doing and you don’t understand what’s going on. It could be a drop in your testosterone levels, as low testosterone and belly fat can oftentimes go hand-in-hand. 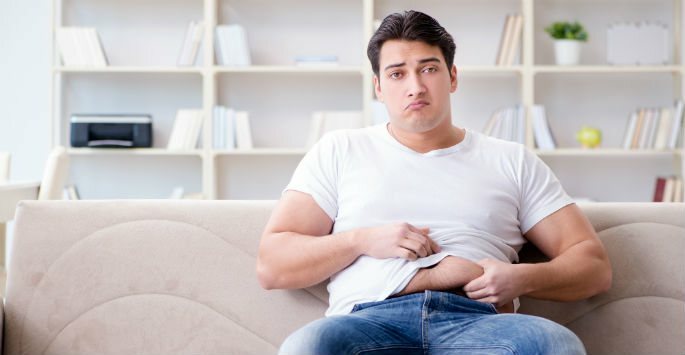 What’s the Connection Between Low Testosterone and Belly Fat? As you get older, your testosterone levels are going to decrease. This is a normal part of life. Testosterone levels are at their peak when you are in your late teens and early twenties. They’ll fluctuate throughout your lifetime, gradually dropping down over the years. When testosterone drops significantly, it can affect your metabolism. Everything can slow down, even though you are still doing what you always did. Weight gain, especially around your midsection, is typical. You can also experience other symptoms, such as fatigue, irritability, a loss of sexual drive, and a decrease in stamina. When you experience all of these changes at once, it can make you feel like your life is out of control. Fortunately, you can do something about low testosterone and belly fat with hormone replacement therapy. If your hormones are making that belly fat build up, hormone replacement therapy at Envoque MD can help you to take charge of the situation. Get to the bottom of it by seeing our specialist in Mesa or Scottsdale. After careful evaluation, we will be able to point you in the right direction. When you are dealing with low testosterone and belly fat, it is important to continue to exercise and follow a diet that is healthy. Try changing up your routine with strength training and cardio training. Be sure to stay hydrated and get your sleep. With hormone replacement therapy, you can get your testosterone levels back where they should be so you can tackle that belly fat. Contact us today to schedule a consultation and get started!